I remember when the girls were younger and the hassle it was folding, unfolding and carrying a heavy travel cot to their grandparents to stay over if my partner and I were going out for the night. I remember getting so annoying at not being able to fold the cot back to keep it. 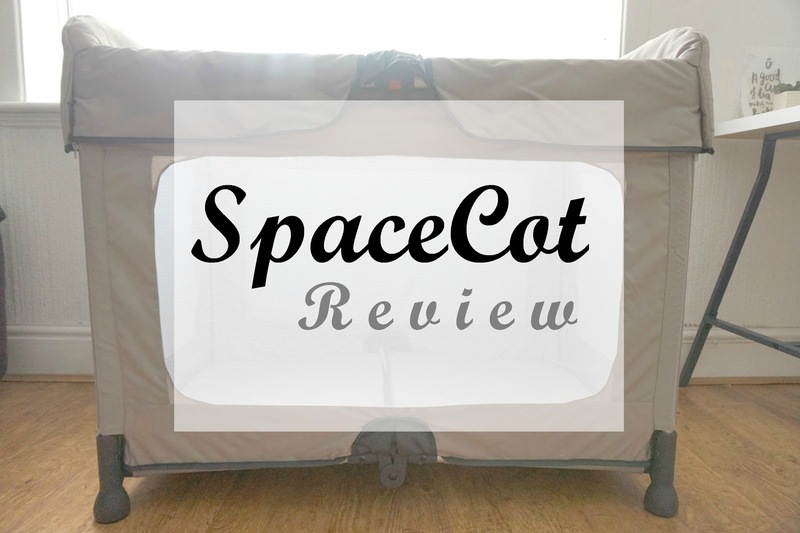 When I was asked if I wanted to review the SpaceCot, I was really interested to see what was so different in this travel cot compared to any other travel cots. When the SpaceCot arrived, I was overly shocked by the size of the box that it came in. It wasn't that heavy, and in fact, it only weighs 6kg. I was looking forward to unboxing the cot and see what it was like unfolded and to see if it actually folded and unfolded in just a few seconds, as they advertise. I was pleased with the grey shade colour, it's my favourite. The cot comes in two levels. 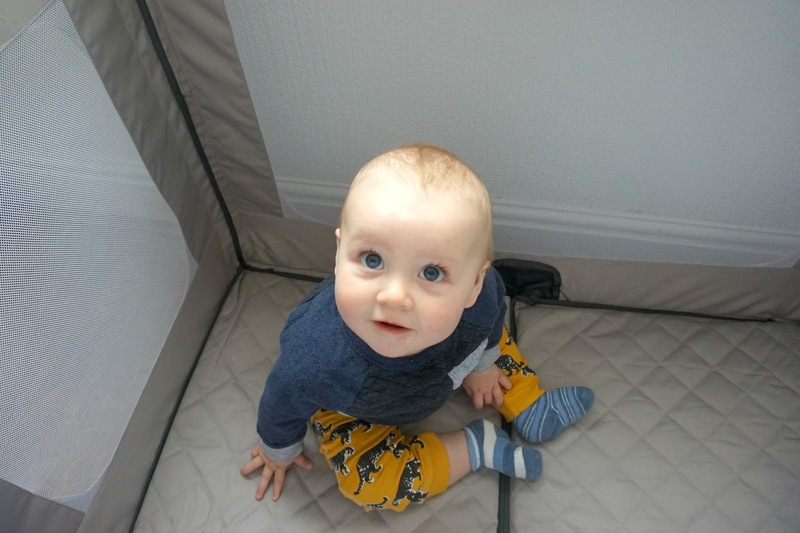 The base mattress comes off and can go onto the detachable level which is suitable for 0-6 months old. The mattress is a cushioned material which makes it comfortable for baby, not like many other travel cot mattresses. The lower level base is suitable up to 30 months. 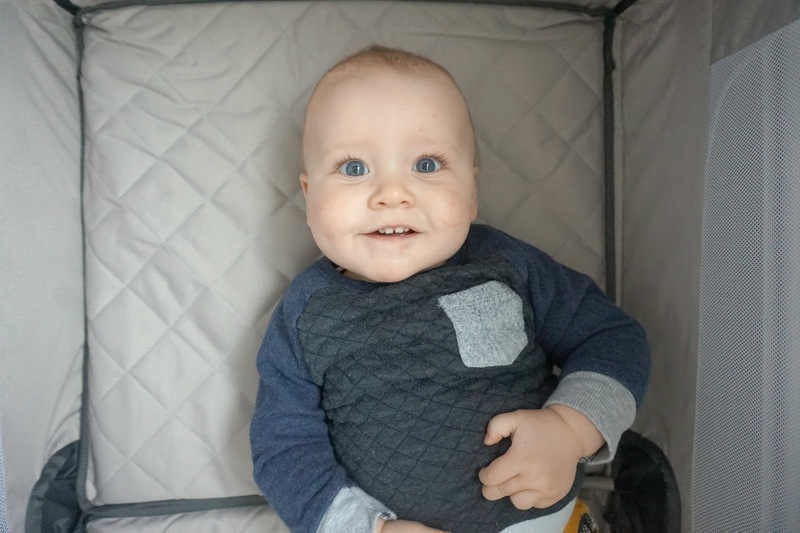 The best thing about this cot is how quick it is to unfold and keep away. At first, it took me more than a few seconds, but you can blame the baby brain for that! I have done it a few more times since then, and it does fold and unfold in just a few seconds. It's much easier than your standard travel cot. I mean, we as parents don't have time to waste messing around folding and unfolding travel cots, do we? 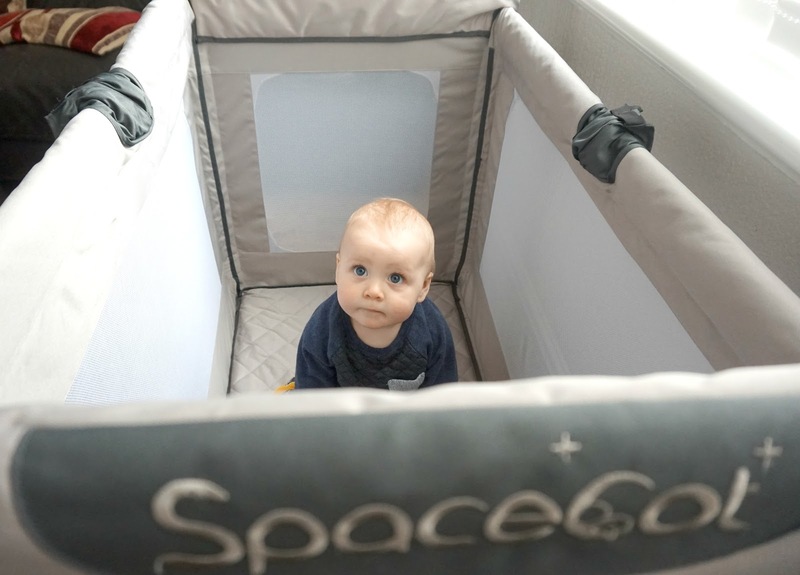 So this SpaceCot is perfect! 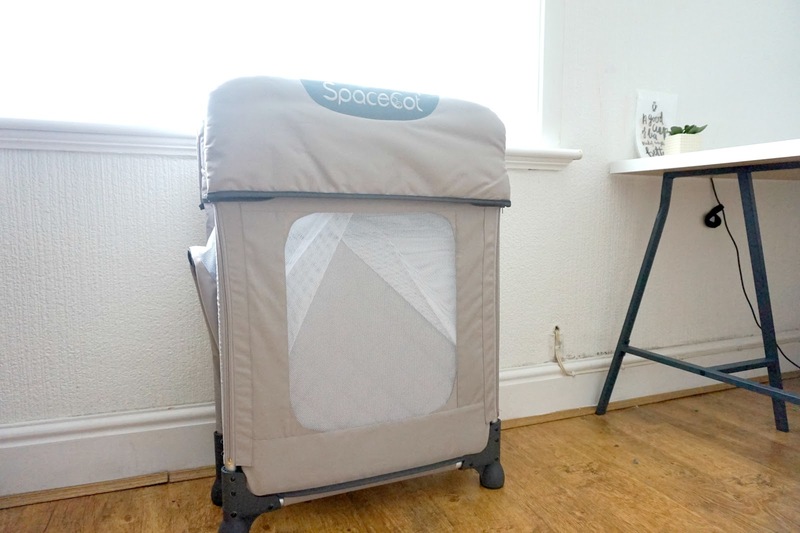 The SpaceCot is light enough and portable enough to carry around the house to use as a play pen aswell as using it as a travel cot at your own house or at the grandparents (or wherever the kids stay overnight when you're having a break). Also included is a handy travel bag to keep the travel cot clean and easy for you to carry. 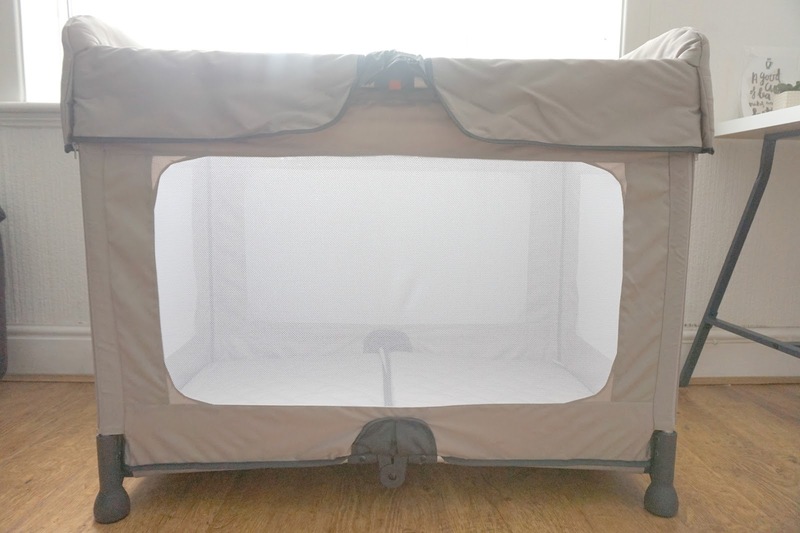 This travel cot is ideal for all parents. * We were given this product free of charge in return for an honest review. Great review and lovely photographs of it in action. Love that it is lightweight, easy to use and space saving. 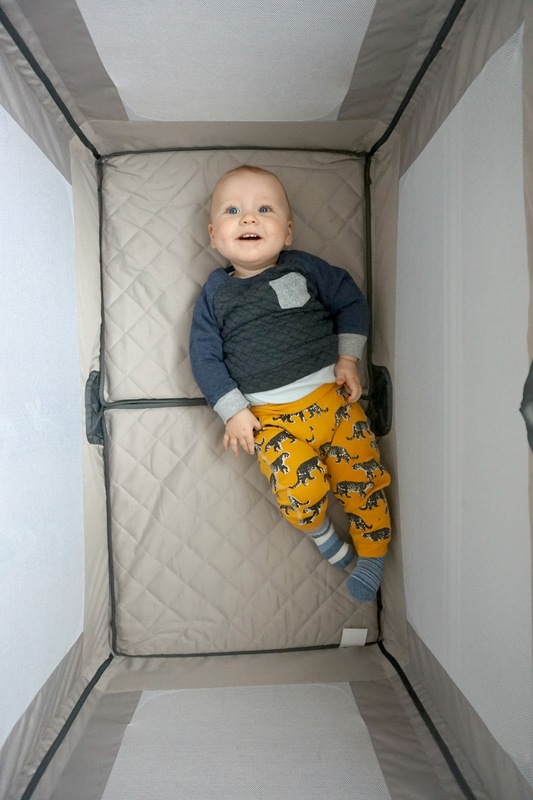 The fold is genius - our travel cot was great for our needs and tended to stay at my parents' house but was bulky for actual travel and used to take up most of the boot - this looks to really solve those issues. I have seen this somewhere else recently and it looks really good. We had a Hauck one but it broke because it was acting as a play pen as well. Don't need one anymore now though because the 2 year old won't settle in it when away so she just sleeps with us to keep it simple. It looks so comfy compared to the one I used to have for my kids. I love how it folds up so neatly and it looks really lightweight too.